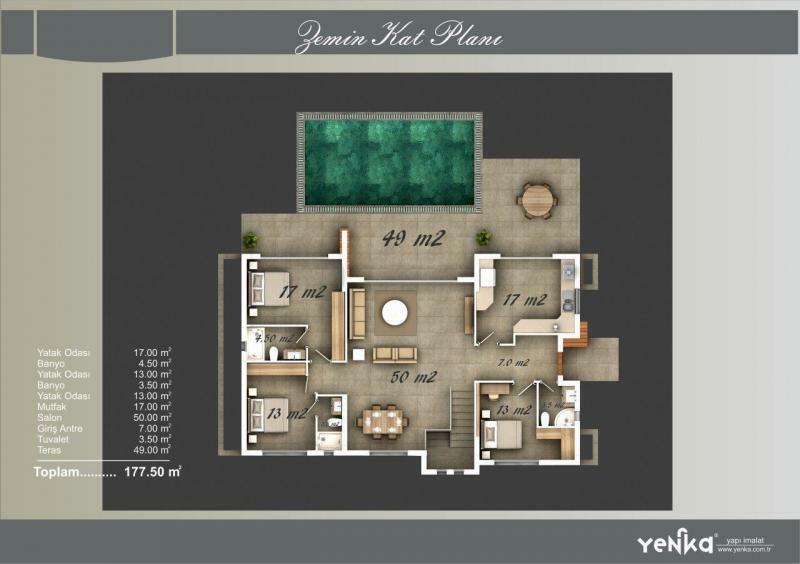 Yenka construction - luxury properties including villas and bungalows in Yalikavak area of Bodrum peninsula. 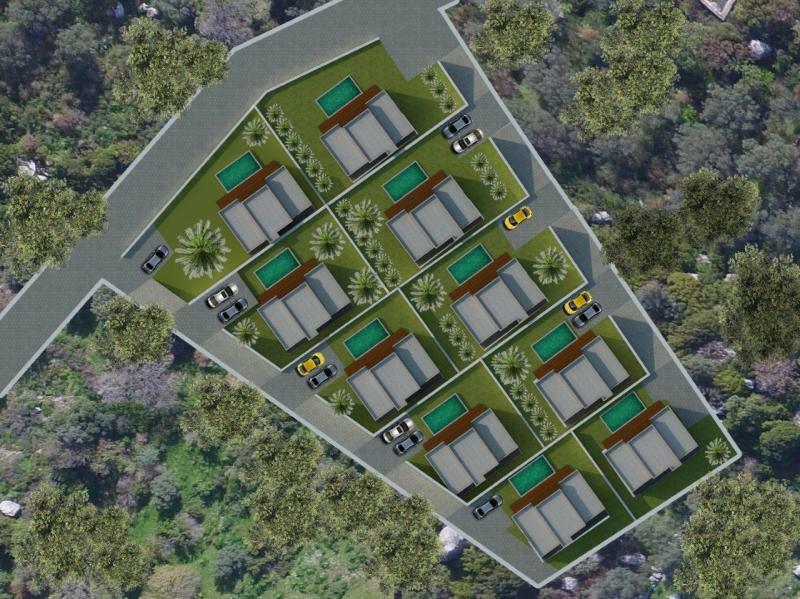 Modern designed and high-quality residential complex consisting of 10 bungalow type villas is located at the very center of prestige area of Yalikavak bay surrounding by olive and mandarine gardens. 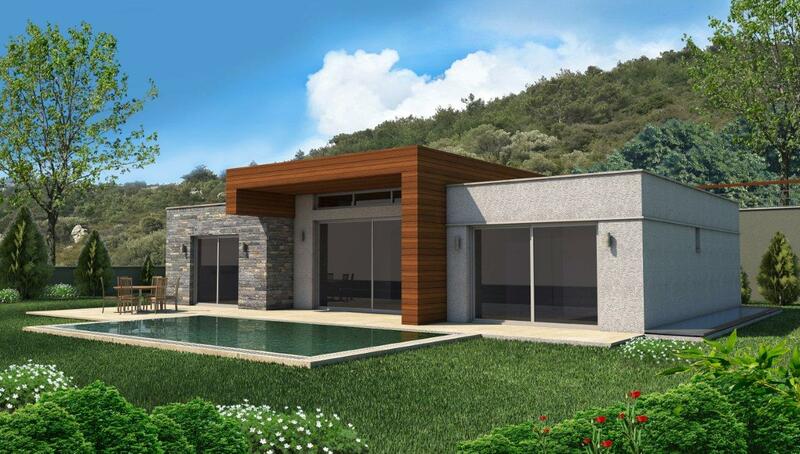 The premium-class villas combine minimalism in architecture and the latest construction technologies providing extra comfort due to wise interior planning and high quality materials. Each of the villa includes 3 bedrooms with en-suit bathrooms on the main floor, spacious living-room with panoramic windows facing the sea, kitchen area. 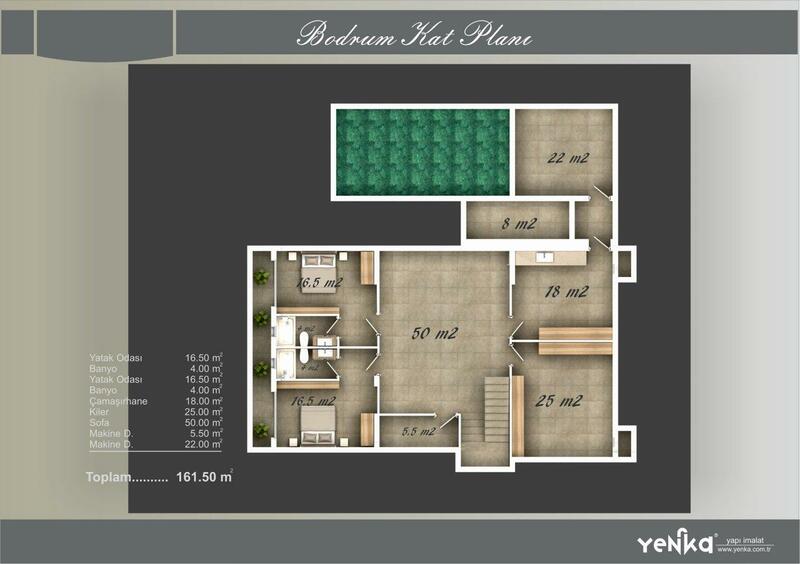 The basement area includes 2 more bedrooms with en-suit bathrooms and a 50 m2 extra space which can be used as hobby room or home cinema, 25 m2 laundry room, 18 m2 storage area and 30 m2 engineering room. 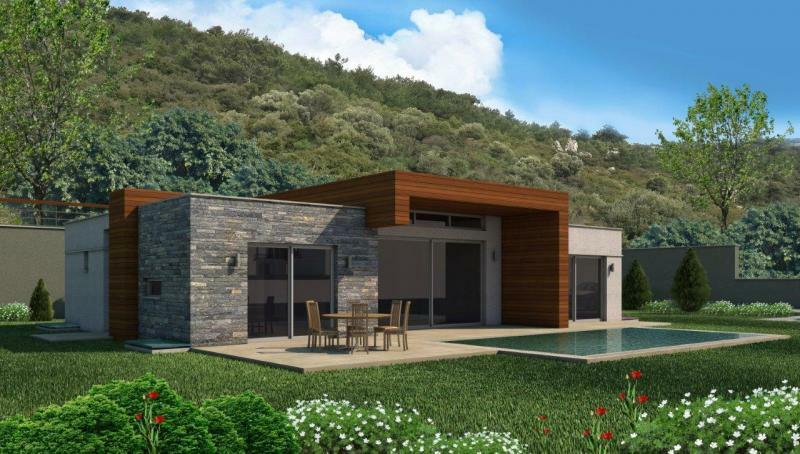 Outside the villa there is a spacious garden, swimming pool with terrace and private parking area. 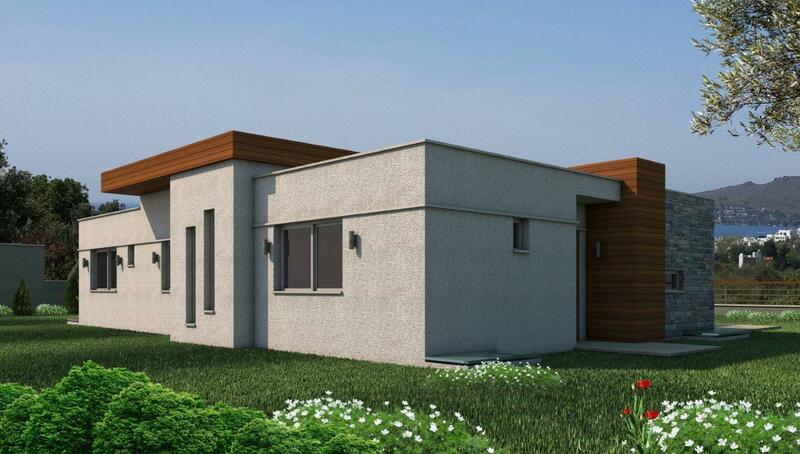 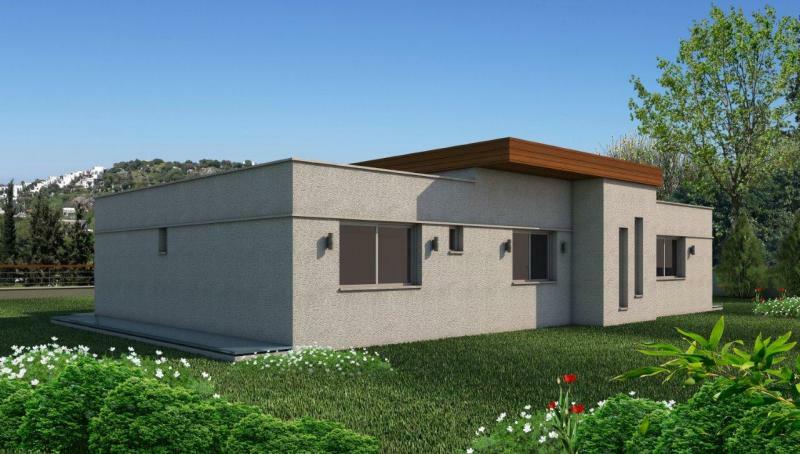 Central location, modern design, high quality construction materials, attention to every detail - perfect villas to be come perfect houses for living.